Some historic Brooklyn Heights rowhouses and pricey new condos along the waterfront could face the threat of eminent domain under a controversial plan aimed at revamping the aging Brooklyn Queens Expressway, transportation officials confirmed. Construction plans for the highway are long overdue. Built in 1954, transportation officials say the BQE is not equipped to handle its current traffic flow, and they expect to get about 10 more years out of the current construction. The $250 million reparation project, due to begin in 2020, will target aging areas near the Brooklyn Heights Promenade and Sands Street and Atlantic Avenue in downtown Brooklyn. This has left transportation officials, who say the highway needs more lanes and longer exit and merge ramps, to float plans on how to accommodate the refurbishment with a shortage of space to grow. Under one proposal, the government would enact eminent domain, demolishing historic row houses and forcing out businesses and homeowners in a roughly five-block stretch in tony Brooklyn Heights, running north from Pineapple Street to Poplar Street and between Columbia Heights and Willow Street. Also targeted: a new condominium building called One Brooklyn Bridge Park along the waterfront. According to the Brooklyn Eagle, several other plans are also on the table. Once such plan would involve boring an extensive tunnel under Brooklyn Heights and downtown Brooklyn. All the plans are in the preliminary stage, officials said. 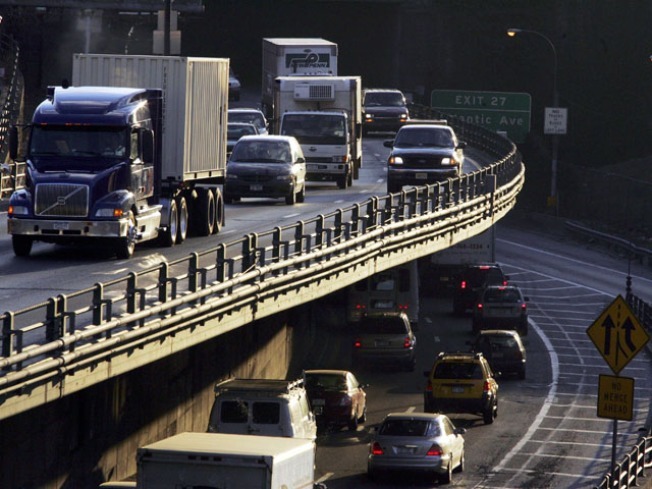 DOT Spokesman Adam Levin called the eminent domain plan the “worst-case scenario." “We are well aware of all the controversy caused by Atlantic Yards in Brooklyn,” he said.